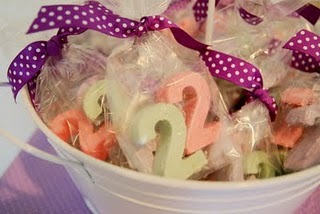 Image source: Paperbox Press Parties found via CAKE. 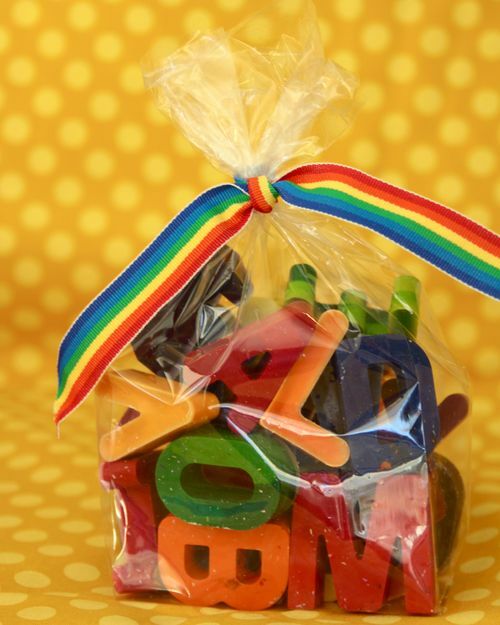 I also love the idea of a full set of homemade alphabet crayons. I found the tutorial for these on the blog Life in Grace. 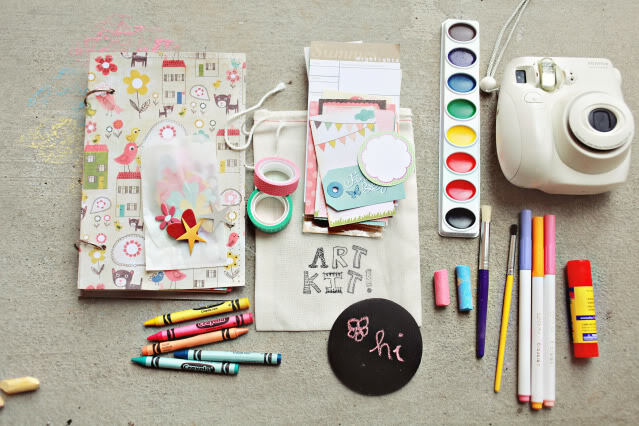 Homemade playdough also makes the list (and would probably also make a cute "loot bag" alternative - see yesterday's post!). 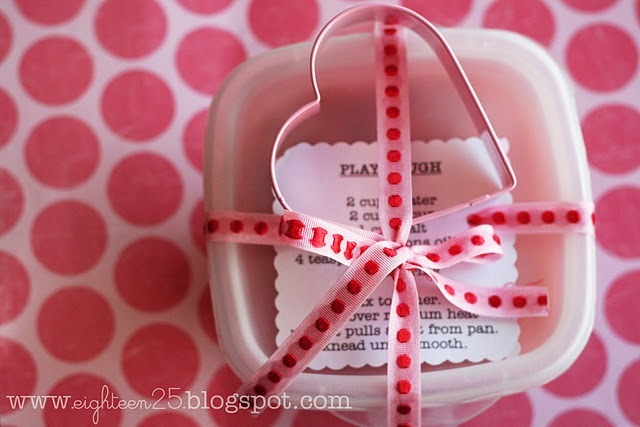 Eighteen25 has as really cute packaging idea and recipe. 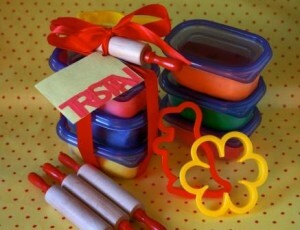 I love the idea of package up different colours of homemade dough, and then adding fun cookie cutters, rolling pins and other play dough-friendly accessories for hours of fun. You could even include a child-sized apron. A simple, thoughtful, homemade gift. 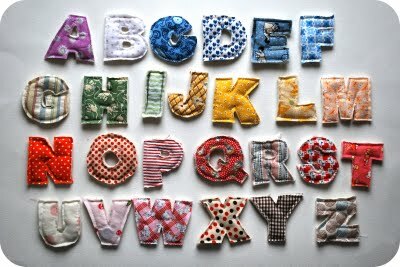 For anyone who likes to sew, I am OBSESSED with this homemade plush alphabet - full tutorial at Chez Beeper Bebe. I'm not sure if I have the patience, but I think they are so fabulous. Do you have any unique gift ideas for toddler or kids parties? Please share!! I love the homemade chaulk idea! Have you seen the silicone molds at Michael's or anywhere else locally? I haven't noticed them, but it doesn't mean they aren't out there! - I will keep my eyes open!